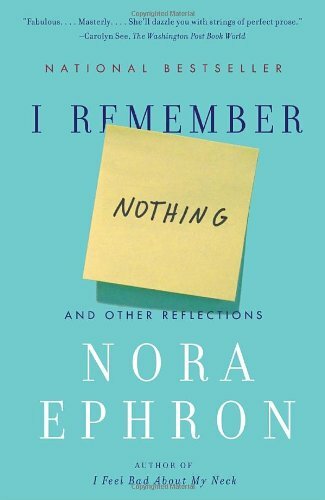 I have a book coming out called I Remember Nothing, and it will probably not surprise you to hear that I can’t recall how I came to write it. I notice that most authors who write about their books on their Amazon page know exactly when inspiration struck, and they describe this Eureka moment quite eloquently. But I don’t have a clue about mine. There had to have been a blinding flash when I realized I had to write something about Age and Memory, but, as I said, I remember nothing, and my guess is that this shimmering insight was followed in short order by my forgetting I’d had the idea in the first place. And then I had the idea again. And forgot it again. Until finally, miraculously, it stuck. When you’re young, you make jokes about how things slip your mind. You think it’s amusing that you’ve wandered into the kitchen and can’t remember why. Or that you carefully made a shopping list and left it home on the counter. Or that you managed to forget the plot of a movie you saw only last week. And then you get older. A couple of years ago, the actor Ryan O’Neal failed to recognize his own daughter Tatum at a funeral and accidentally made a pass at her. 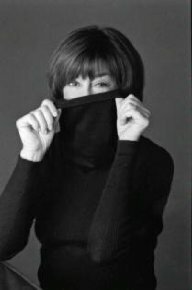 Everyone was very judgmental about this, but not me: only a few weeks earlier, I’d been in a mall in Las Vegas when a very pleasant-looking woman came toward me, her arms outstretched, and I thought to myself, who is this woman? How do I know her? It turned out to be my sister Amy. You might think, well, how was she to know her sister was in Las Vegas, but I’m sorry to say that not only did I know, but she was the person I was meeting in the mall. Anyway, at some point, I thought it might be fun to write a book about what I remember, and what I’ve forgotten. I still feel bad about my neck, but I feel even worse about the fact that huge bits of my life have gone slip-sliding away, and I thought I’d better write them down while I still had a sense of humor about it all.